The World Bank’s July energy directions paper Towards a sustainable energy for all appeared to herald a major shift as the Bank stated it would fund coal power generation “only in rare circumstances” (see Update 86). The Directions Paper aims to achieve universal energy access, which it argues is the basis for economic growth and poverty reduction, through energy efficiency, hydropower projects and renewable energy such as wind, solar, geothermal, biogas and biomass. In June the Bank committed $585 million for the Helwan South natural gas power project in Egypt, which includes three 650 MW facilities with a $2.4 billion total budget, and $60 million to expand a gas field in the Ivory Coast. 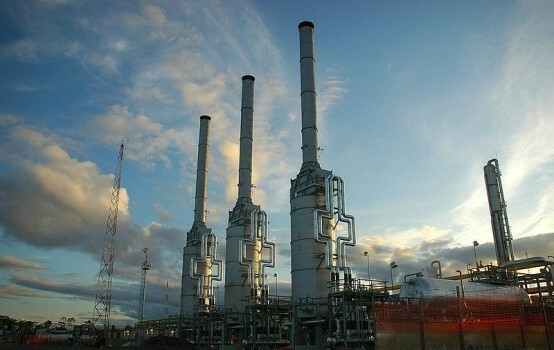 Between July and September 2013 the International Finance Corporation (IFC, the Bank’s private sector arm) announced new loans for gas-fired power plant projects in Nigeria ($125 million for a 450-500 MW plant), the Ivory Coast ($132 million to add 111MW of capacity) and Turkey ($100 million for 543 MW greenfield plant). Existing Bank natural gas investments highlight some of the controversial impacts of these projects. In 2008 the IFC invested $300 million in a downstream pipeline that links up with the Camisea gas project in Peru (see Update 60 and 58). In August, Peruvian civil society groups criticised current plans to the Camisea gas field (in particular an area called Lot 88) because it would violate the rights of indigenous groups in initial contact and voluntary isolation – including the right to free, prior and informed consent. The civil society statement notes that nearly half the Nahua indigenous group died from disease following oil exploration in the same area during the 1980s. In Kazakhstan the IFC provided $150 million in loans for the Karachaganak oil and gas project that has been condemned because local residents became extremely ill following exposure to plant emissions. In 2008 the IFC’s accountability mechanism, the Compliance Advisor/Ombudsman (CAO), found the IFC to be “out of compliance” with its own safety standards for toxic emissions (see Update 64, 61 ,45). A change in the Bank’s energy portfolio? It is still too early to assess the impact of the new energy directions paper on the Bank’s activities but existing and past investments show its preference for funding fossil fuels ahead of renewable energies (see Update 69, 68, 67). According to Oil Change International data between 2008 and 2012 the World Bank invested around $18 billion in fossil fuels compared to around $8 billion on renewable energy (e.g. energy efficiency, geothermal, small hydro, solar and wind). In a July meeting with UK NGOs the then alternate executive director to Bank, Stewart James, indicated the directions paper “would not be expected to alter the Bank’s portfolio at this stage”. Another key indicators of change will be whether the Bank rejects a proposed investment in a coal power plant in Kosovo (see Update 86, 83). Instead of funding natural gas civil society groups say the World Bank should fund de-centralised off-grid renewable energy projects to tackle climate change and reduce poverty. In July Elizabeth Bast of US based NGO Oil Change International said “large-scale fossil fuel projects are not the answer for energy poverty. In 2011 the International Energy Agency has said that to achieve the goal of universal energy access by 2030, 70 percent of those without access in rural areas would be served by off-grid and mini-grid systems – not large-scale, grid-tied power”. Civil society organisations such as International Rivers argue the Bank should fund energy efficiency projects because Bank assessments prove they are very effective. “On average, such projects are considerably more economic than new power stations. Unlike power plants, they don’t degrade the environment and displace local communities.” However, the Bank chooses to fund large-scale projects instead of “complex solar, micro-hydropower or energy efficiency projects” because it involves fewer costs and is easier to demonstrate results.